Eye care experts receive an active introduction to Hull! Local hospital staff have given national conference delegates arriving in Hull this week a more unusual welcome to the city. Hundreds of eye specialists are convening for the BIPOSA (British Isles Paediatric Ophthalmology and Strabismus Association) 11th annual conference, held in Hull in celebration of the 2017 City of Culture Year. 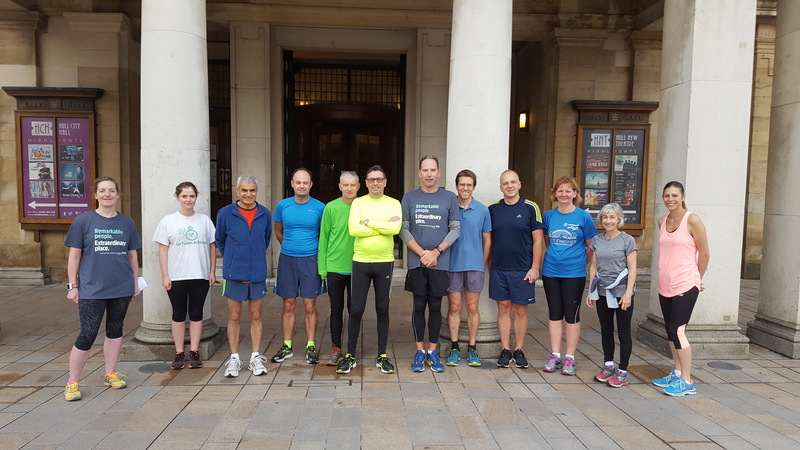 Far from playing the Housemartins or passing round the chip spice, however, healthcare staff have done what they do best, and that’s give a warm and healthy welcome to visitors in the form of a 5km run around the city centre earlier this morning. “In recent years, we’re told it’s become somewhat of a tradition for BIPOSA to offer its delegates a run as part of their annual three day conference. The 5km route designed by Specialist Optometrist, Ellen Messingham, took runners from Hull City Hall, where the conference is being held, through the old town and along the marina before heading past The Deep and onto Victoria Dock. The route then led participants over Scale Lane Bridge, along High Street to the Wilberforce Museum, before heading back to the City Hall past Hull College and through Queen’s Gardens. “We have a lot of keen runners throughout the Eye Hospital, HRI and Castle Hill, and staff were only too willing to give fellow health workers from across the UK a warm welcome in this way.